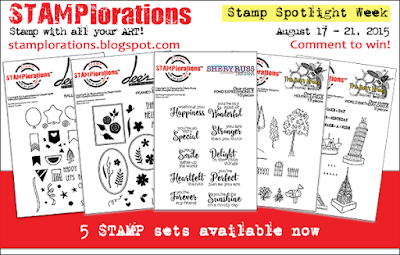 today is day 5 and the last day of our week long blog hop at STAMPlorations featuring 5 new stamp sets. Those tiny stamps are perfect to create your own background. Just fill up all that white space! I also love that elegant font! Die cut the border with a Simon Says die and added a thin black strip. Don't forget to leave a comment on this post and the rest of the team's blogs for a chance to win one of the prizes. Commenting closes on August 23. Winners will be announced on August 24. Very cute! Love making my own backgrounds and you're right, this set is so perfect for that. Deine Karte ist ja perfekt die von Pinterest. Did it again, didn't you? Nailed that pattern beautifully. Wish I could do this, not my forte, but I love it when someone else can achieve it so perfectly. OMG! What a gorgeous creation and perfect match for this pinspired challenge! Love, love , love this stamp and now the fave one too! I love this and I am so pleased for you at how SPOT ON this is to that Pinterest Inspired graphic!!! Perfectly done with so much style and pizzazz!! Winner, winner, chicken dinner! Fabulous showcase of the set and yes indeed, you're rocked the Pinterest image! Another WOW! wow!! this is amazing!! love the repeated stamping and the colors!! Wow. Beautiful and amazing. Love this card and the color combo just pops! 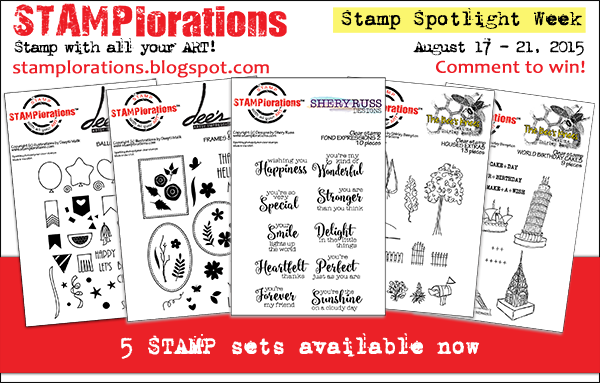 Thank you for a week of amazing projects using the new stamps! Great use of the set. Love this new stamp set and the ink colors you used with the pop of black is just perfect with it. WOW! Super background you created! Gorgeous, I love how you have translated your interpretation of the inspiration image into your beautiful card. 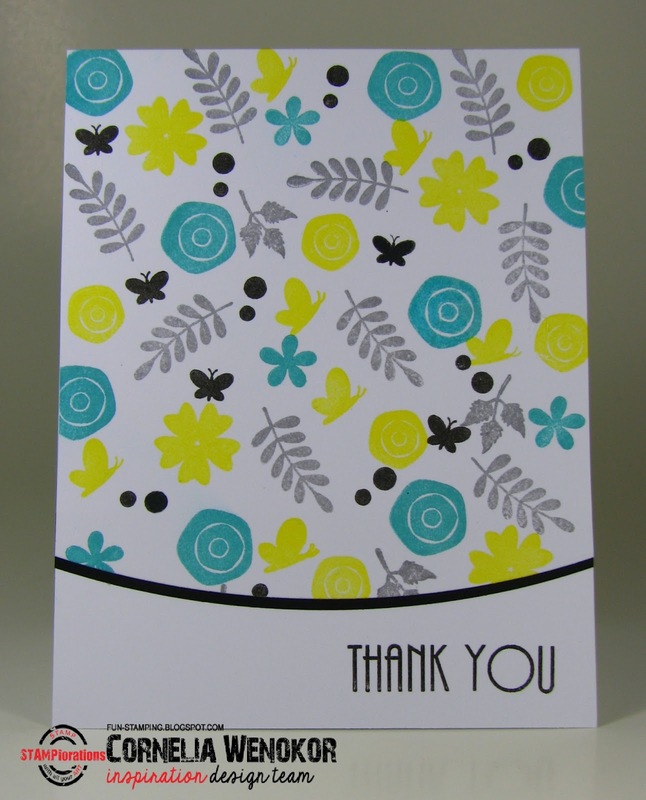 Love the gorgeous stamping on your card! The curve at the bottom is brilliant! This stamp set has so many uses! You have created a lovely card, bright and cheerful. Fabulous inspired card! Werent those colors amazing together! You NAILED this!! So awesome! Pretty panel! I like the black curved border defining the edge of the panel. Oh my....you totally rocked this card! I love it Cornelia.